Resolve Optics has launched a motorised version of its Model 357 non-browning zoom lens for use with radiation-tolerant cameras. 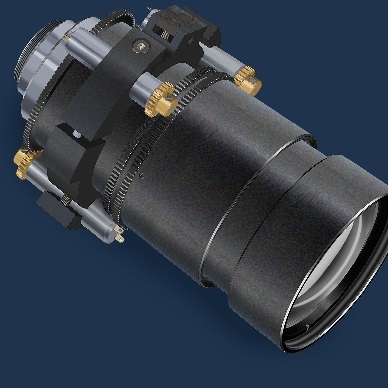 Offering remote control of lens functions over a 10x zoom range, and the capture of true high definition (HD) quality images, the motorised 357 lens promises safe, high quality nuclear inspection. The lens is available for use with both 2/3 inch (16mm) and 1/3-inch (8mm) radiation-hardened colour cameras. The Model 357 uses special non-browning glass to produce clear images free of the strong yellow tint that is often a limiting issue with radiation-resistant lenses on colour sensors. The glass used is proven to withstand long-term exposure to radiation up to a dose of 100,000,000 radians and temperatures to 55C without discoloration, the company says. At f/1.8, the 1/3-inch lens provides high image resolution and minimum geometric distortion from 400 to 770nm, and can image objects from 800mm to infinity without add-on adapters. When focused at infinity, the lens achieves high image resolution on axis at full aperture throughout the zoom range without refocusing.